Did you know that HornerXpress Worldwide carries a full line of commercial swimming pool products? Below is just a small sample of what we can provide for your commercial application. Nothing says fun to your guests like twisting down a slide and dropping into the swimming pool below. S.R. 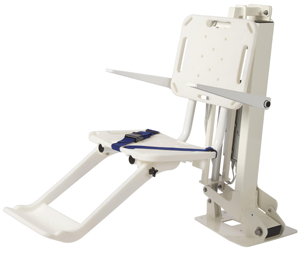 Smith is a leader in pool lift technology, offering commercial lifts for all applications. 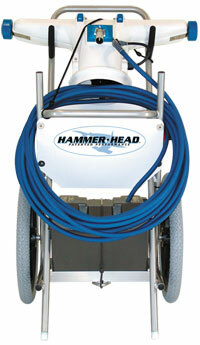 Reduce your cleaning time by up to 50% with a Hammer-Head, a pool cleaner for industry professionals. 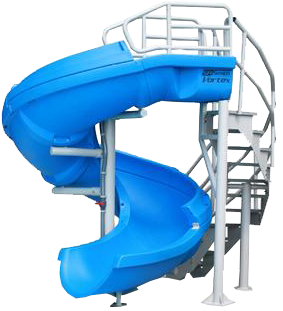 Jump or dive into the swimming pool with one of our diving boards or jump towers from S.R. Smith. Produce up to 15lbs of chlorine per day with an AutoPilot Professional Salt Chlorine Generator. Not only do you provide safety against suction entrapment but also extended pool equipment life with and SVRS system. Built with limited equipment room space in mind, Astral produces commercial pool sand filter systems. 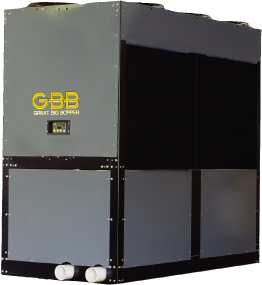 Glacier produces an extensive line of pool chillers for the largest resort and recreational facilities around the world. For either beginner swimmers or world class athletes, we carry a full line of starting platforms for every need. Specified to save energy, space, costs and time, Acu Drive increases performance in all aquatic pump applications. Solar powered paver lights that are perfect for enhancing any pool deck, landscaping or pathway at night. This is just a sample of what we have to offer for commercial pools, contact your Export Manager to inquire about our entire offerings! For more information on any of the products listed in this email, please visit our Commercial Equipment webpage.